Leadership could be something you fear. You fear that it will cause problems. You fear that you have to do things you don’t enjoy. You have to micromanage. You have to do a lot of admin work. The boring stuff. Leadership doesn’t have to be this way. Leadership can be rewarding, inspiring, and simple. What you need is a set of meetings that will enable your team to lead themselves. You can focus on the fun stuff and do less of the boring stuff. Photo by Nordnet Design Studio. 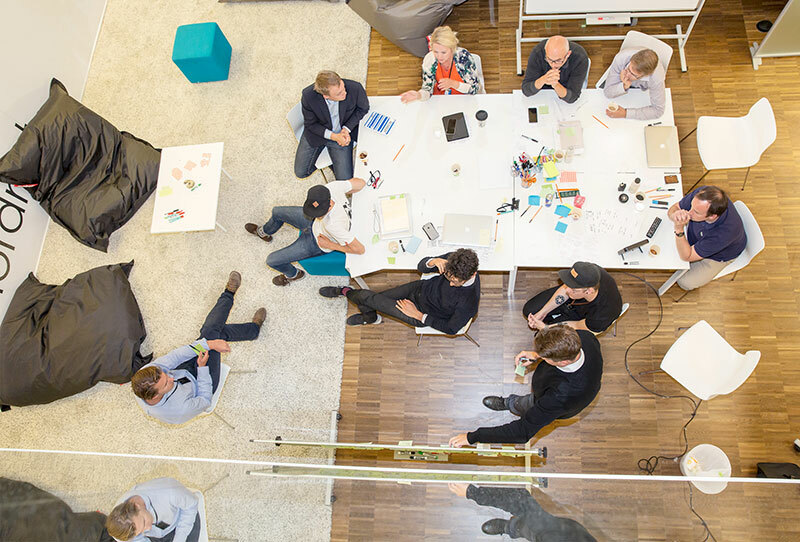 The main tools that we use in the Nordnet Design Studio are meetings. You might think, “That sounds about as exciting as getting your teeth cleaned while reading the terms and conditions for opening a bank account,” but meetings can be meaningful, fun, and engaging. Our meetings help us focus on the course, and to steer ourselves in the right direction. The old way of thinking is that leadership should be done by one person. Our meetings are run by all of us in the studio, meaning that we collectively lead ourselves. The term Goalfest was coined by Joel Califa in his article “Trust & Product Design.” It’s a fest with goals, simple as that. If there’s one meeting to take away from this article, it’s this one. It’s the key meeting for us—it helps us reflect and look forward. Every business has goals. 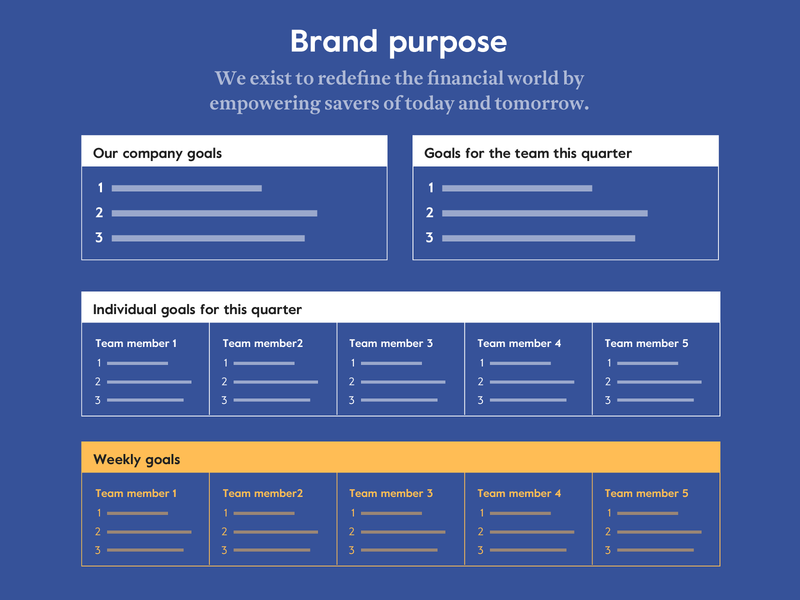 You have company-wide goals, you have team goals, and individual goals. What we wanted to do is set up a clear link between what we want to achieve as a company to what we want to achieve as a team, and as individuals. 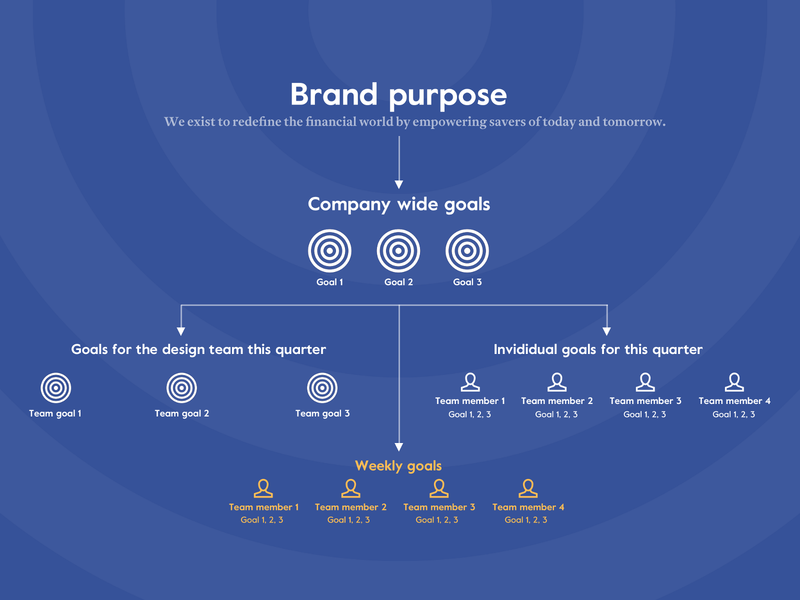 At the top of our Confluence page, we state our brand purpose—why we exist as a company. We exist to redefine the financial world by empowering savers of today and tomorrow. We have a company-wide priority list of what to focus on as a business. We list each of our goals in order of priority. At the end of each quarter, during the quarterly retrospective, we meet and define the team goals for the forthcoming quarter. We typically have 3 or 4 of these goals. We’ll describe more in detail how this works further down the article. Example of a team goal: We have consistently contributed to the design community with many articles and open-source materials. Same setup here. Each quarter, we individually define a set of goals that we want to achieve during the next 3 months. They’re all transparent for everyone to see. This gets updated every week. We write a few bullet points of what we want to accomplish next week. For instance: “I want to document graphs in the UI kit.” We also look back on the week and rate our individual goals (that we wrote during the last Goalfest) from a scale of 1–5. As we share our goals, we have discussions within the team. Maybe someone is struggling with a task and someone else can help. Maybe a team member has learnings to share about a new tool. By discussing our goals, we not only keep ourselves aligned, but we also share knowledge and help each other. The structure of our Goalfest page. After rating our goals for the week, we also populate a list of lessons learned. We list what we’ve learned and what we can improve. It’s sort of a mini retrospective—it pushes us to reflect on our work. As a finale of the meeting, we track our happiness metric. It’s a rating system of how happy we are at work, but it’s also a way to increase team happiness. How can we improve your happiness? 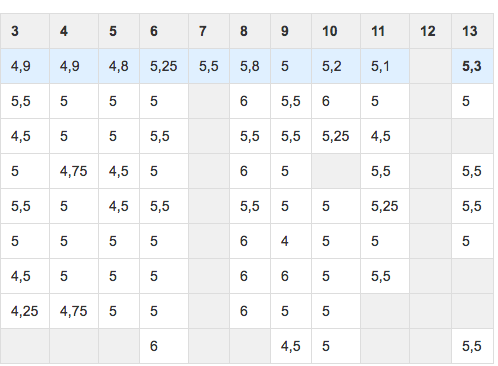 A screenshot of how we track the happiness metric. The blue shows the team’s score. You receive a rating for the first 2 questions, but the third question generates ideas on how we can become happier. Based off of these ideas, we’ve organized team outings, bought equipment, and much more. We track all ideas in a Kanban board using the columns: todo, doing, done. Tracking the happiness metric is good for business. Scrum Inc, the company who coined the term increased their velocity by 500% by tracking their metric. The design critique is our other weekly meeting. We have these sessions on Wednesdays. The purpose of the meeting is to show your work-in-progress designs and receive feedback. How it works: Every designer presents their designs in 5 to 10 minutes. The slot is time-boxed for a reason. If we don’t have a set time, the discussions might snowball. Before presenting a design, you must first share the background of the project, and articulate the problem you’re solving. In addition to the design critique, our lead designer Can organizes weekly one-on-one sessions with designers to support with more detailed feedback. We’re firm believers that limitations spark creativity. Instead of starting with a blank slate, we have tools and guidelines to increase the consistency and quality of our designs. Even though we appreciate working with a design system, we don’t always agree with all of our previous decisions. That’s why we have a monthly “pet peeves” meeting, where we can talk about issues and frustrations with our system—ultimately to elevate our design language. Pet peeves meetings are held with both the product design and the marketing design teams. It’s a forum where any issue, no matter how large or small, can be raised, discussed, and documented. We begin by going through proposed solutions to previous problems raised in earlier meetings: our “peeves.” We keep track of them using a Kanban board. The peeves can be as simple as someone disliking a particular icon, or as complex as someone questioning an entire flow within the product. After that, we present new peeves and discuss them with the group. It’s a democratic process. Although we may not always reach unanimous decisions, everyone has their say and all points of view are documented. If an issue requires a larger amount of exploration than a meeting allows, a designer is tasked with taking the lead on creating a solution. It can sometimes be hard to pick a designer to explore an issue, particularly if opinions are very divided. If that’s the case, we’ll often assign the task to a designer from each “camp” to ensure that we’ve thoroughly examined both sides of the coin. Once we’re aligned on a solution within the team, we integrate the end result with our visual identity and our UI kit. At the end of each quarter, we meet to reflect. We set aside at least 2 hours, and the purpose is to look back on the quarter, learn, and review the goals for the forthcoming quarter. You begin the session with rating the teams’ goals for the quarter. You read each goal aloud and then you ask each member to rate how they feel we’ve accomplished the goal from 1–5. By doing this, we receive a rating for how we have achieved each goal. After we’ve reviewed our goals, we do a retrospective of the quarter. We use a structure from the excellent Retromat created by Corinna Baldauf. You can use the Retromat to customize your own retrospective. We set the stage by asking the question: “Why do we do retrospectives?” It might sound awkward, but it’s a great question to ask in order to align on expectations. For the next part, we write down on Post-its what we felt was “good,” “bad,” and “ugly” about the last quarter. After we’ve finished writing, everyone presents their learnings and puts them up on a whiteboard. By doing this exercise, you gather insights, which warms up the brain and tees up for the next step. Now it’s time to generate ideas on what we should “start”—and what to “stop” and “continue” doing as a team. The same setup as the previous exercise applies: We write down our thoughts on Post-its and put them on a whiteboard to discuss. However, as a last step we ask everyone to dot vote on what they feel are the most important ideas. During the next quarter, we follow up on the suggestions with the most votes. We’re almost done. Just one more step. Retrospectives can sometimes be quite draining. You bring up issues, which can cause frustrations. To end the session on a more positive note, we conclude with a filling-in-the-blanks exercise. Give these meetings a try. We’re certain that you’ll see benefits within your team, such as less micromanagement, more alignment, and more collaboration. Running these meetings will bring out the leader in everyone. 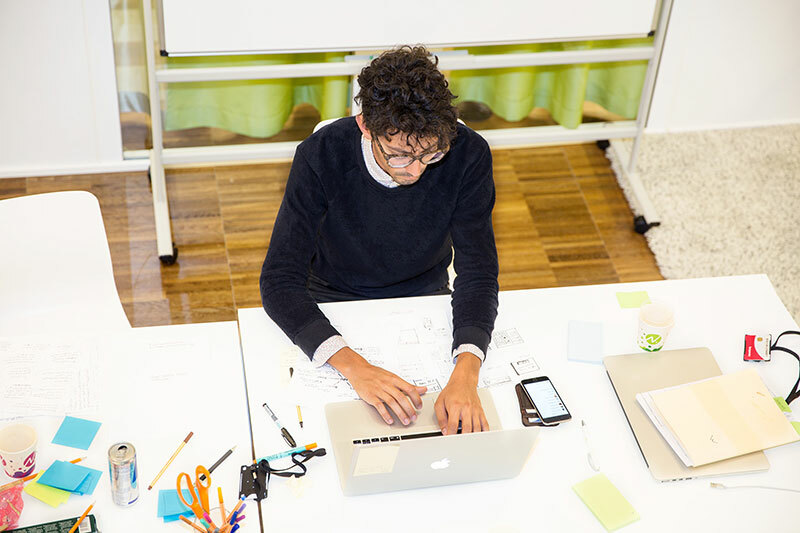 Marcus Castenfors leads the Product Design team at Nordnet, a modern bank that focuses on transparency and innovation. 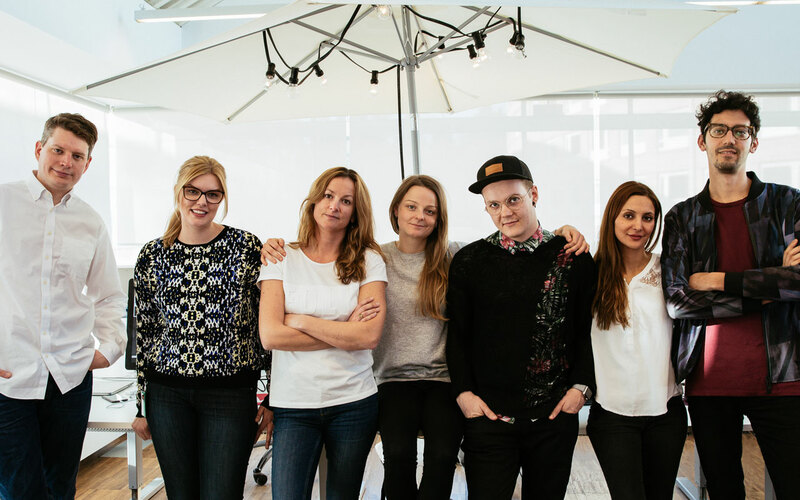 Before joining Nordnet, he was the Swedish creative lead at SapientNitro where he worked with clients such as Volvo Group, TUI Group, and Scandic Hotels.